First, in the September volume of its Digest of Equal Employment Opportunity Law, the EEOC provided some rare insight into the way it views discrimination on the basis of mental health conditions under the Americans with Disabilities Act (ADA) and the Rehabilitation Act. Although the publication is aimed at government agencies, the guidance details the types of accommodations the EEOC expects of employers for employees or applicants with mental health conditions. An employee who has difficulty adjusting to alterations in his or her daily routine due to a mental health condition may need a permanent assignment to one location or a “transition period” to adjust to a change in location. Room dividers, partitions, soundproofing or visual barriers, moving an employee away from machinery or reducing workplace noise may be needed to accommodate individuals with limitations in their concentration. Modifications to supervisory methods, such as the way in which supervisors communicate assignments, instructions, or training may be needed. This could include, for instance, communicating electronically rather than face-to-face, or providing more day-to-day guidance, feedback, or structure, or breaking down larger tasks into small ones with discrete deadlines for each step. A change in scheduled working hours, such as a later shift, if medication taken for a mental health condition causes grogginess or lack of concentration in the morning. A link to the full article may be found here. Second, last Thursday, the EEOC gave final approval to a new EEO-1 reporting form. Beginning in March 2018, employers with 100 or more employees will be required use the form to report the number of full- and part-time employees in each of 12 different pay bands, along with total hours worked by employees across 10 job categories and 14 gender, race, and ethnicity categories. Proponents of the new form have said that the new form will make it easier for the EEOC and the U.S. Department of Labor’s Office of Federal Contract Compliance Programs (OFCCP), among others, to detect patterns of pay discrimination. Opponents have said that the form will result in significant additional reporting costs for employers because the new reports require significantly more information that the current EEO-1 form and require merging data from separate sources and databases while providing little insight into discriminatory pay practices. A link to the new form may be found here. 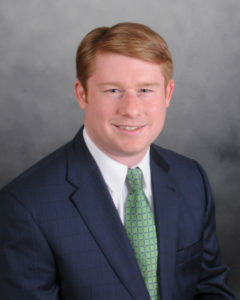 Michael McKnight is a shareholder in the Raleigh office of Ogletree, Deakins, Nash, Smoak & Stewart, P.C. Is the EEOC Trying To Require Unforeseeable Intermittent Leave As a Reasonable Accommodation Under the ADA (Again)? Gov. Cooper’s Executive Order On LGBTQ Employment Rights: An Effective Mandate For State Agencies and Contractors Or a Toothless Tiger?